Anyone looking for an easy-to-use store builder would do well by choosing either WooCommerce or Shopify. Both of these are popular ecommerce platforms, however, they do differ significantly in crucial areas such as running costs, setup requirements and customizability. WooCommerce is the biggest shareholder in the global ecommerce market. It powers a staggering 23% of all online ecommerce websites and there are no signs of it slowing down in terms of growth. It is even taking away customers from established ecommerce platforms such as Magento. But Shopify is swiftly shaping up to be a serious competitor for WooCommerce. It has seen steady growth in recent years and now powers more than half a million ecommerce websites. Offered as an all-in-one ecommerce “software-as-a-service” (SaaS) solution, it provides everything you need to open a full-fledged online store. 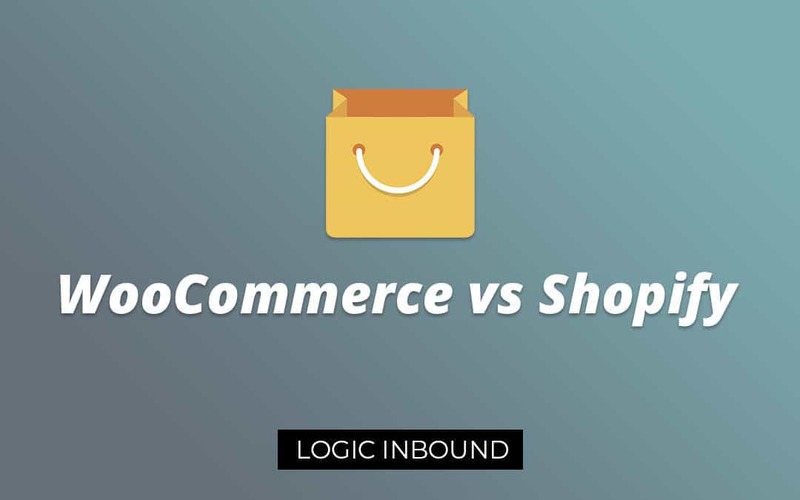 The reason why we’re comparing WooCommerce vs Shopify is that both are direct competitors. And Shopify isn’t just for small-to-medium businesses either. It is being used by industry giants like Mondelez International, makers of Oreo. Modelez uses Shopify to power a world-class eCommerce operation that involves complex integrations with advanced systems such as ERPs. WooCommerce on the other hand is being used by electronic appliances maker Singer, who uses it to sell products through a website and Facebook. The WooCommerce for Facebook module has allowed Singer to reach additional customers and thus increase sales. Clearly then, both WooCommerce and Shopify can be used for a variety of requirements, no matter the size of the business. But which one should you choose for your online business? In this WooCommerce vs Shopify comparison, we’ll take a deeper look to help you find the answer. WooCommerce vs Shopify Pricing – Is Woo Actually Cheaper? Which is More Popular WooCommerce or Shopify? Is Shopify Easier to Use than WooCommerce? The design of a website is part of its identity – it’s what makes the first impression on a visitor. A well-designed website inspires confidence and trust with its audience and shows that the company is willing to go the extra mile to enhance the customer experience. In competitive industries such as eCommerce, every detail matters and good design is certainly enough to give a business the edge. A badly designed website will not only be unpopular with visitors, but also with search engines. First of all, it will increase the bounce rate which means the store is losing potential sales and customers. Secondly, because of the high bounce rate, Google will start to favor websites that retain visitors better. This is an important factor to consider for eCommerce businesses. What’s more, a website shouldn’t just be well-designed but it should also be optimized for mobile devices. A major part of web traffic comes from mobile devices these days, and a mobile-optimized website makes it easier for those customers to navigate around and make purchases. Comparing website design on WooCommerce vs Shopify, it is important to note that the latter allows you to implement theme changes in a very convenient manner. In WooCommerce, you’re expected to tinker here and there to get things working. The official WooCommerce template stores offers 14 templates. These are called “child themes” for WooCommerce’s Storefront template which is the default for every store made using the platform. These child themes offer a variety of attractive designs and cost just $39. That’s a pretty good price for themes that are officially supported by the platform. But 14 choices of design might not be enough for many users. Fortunately, there are other options available when it comes to paid templates. 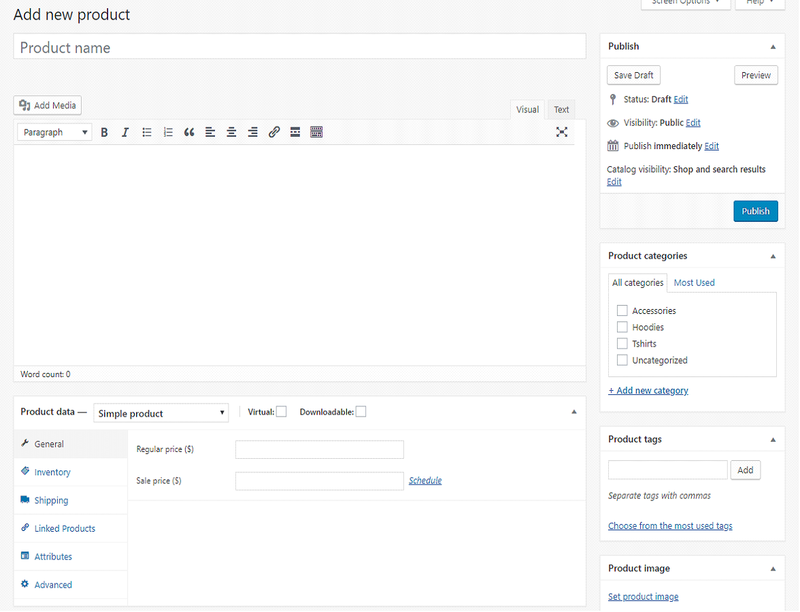 Template marketplaces such as Template Monster and Theme Forest allow third-party designers and developers to put up their own paid WooCommerce templates. The prices of these templates are quite reasonable, ranging from $59-$99. All of the templates available on these platforms have been code-checked and offer a great choice of designs that cater to a variety of businesses and industries. Keep in mind that buying a template from non-official sources means that official WooCommerce support won’t help with any support requests unless you deactivate the template. The Shopify template store offers a selection of 62 templates, out of which 10 are free. All of the templates on offer here have been designed by professionals and are fully mobile responsive. Even the free templates offer a decent variety to users who’re on a tight budget. The individual templates come in 2 or 3 variations, so there are multiple looks for a given design structure. The only concern here is that Shopify’s paid templates are considerably more expensive than their WooCommerce counterparts. Prices start at $140 and go up to $180. But these templates are a one-time investment, so it’s not exactly a deal breaker but does add to the cost of starting a Shopify store. Shopify’s popularity extends to support from third-party designers as well. Theme Forest and Template Monster host more than a thousand high-quality Shopify templates which gives users even further options when it comes to design. What’s more, these premium templates cost around $29-$69, significantly cheaper compared to the official paid templates. Just make sure to inspect a theme to see if it’s mobile responsive and if its author offers after-sales support. Having access to responsive customer support is essential for many reasons. Maybe you just want someone to walk you through on how to use a particular platform feature or maybe, your store just isn’t functioning in a routine manner. WooCommerce is an open-source product that’s free. Hence, support is just limited to a basic ticketing system. What’s more, it isn’t very responsive and median response time for support requests is around 48 hours. Needless to say, if you’re stuck with WooCommerce but short on time, Google will be your best option. If prompt support is a necessity, you can opt for firms that offer WooCommerce development and support services such as Logic Inbound. Being a paid product, Shopify offers online support for all its customers. Phone support is available for customers who choose the Shopify plan ($79-per-month) and up. We found Shopify’s live support personnel to be very responsive to any kind of queries. The support rep will provide you precise instructions and even screenshots if you want help with any of the platform’s features. 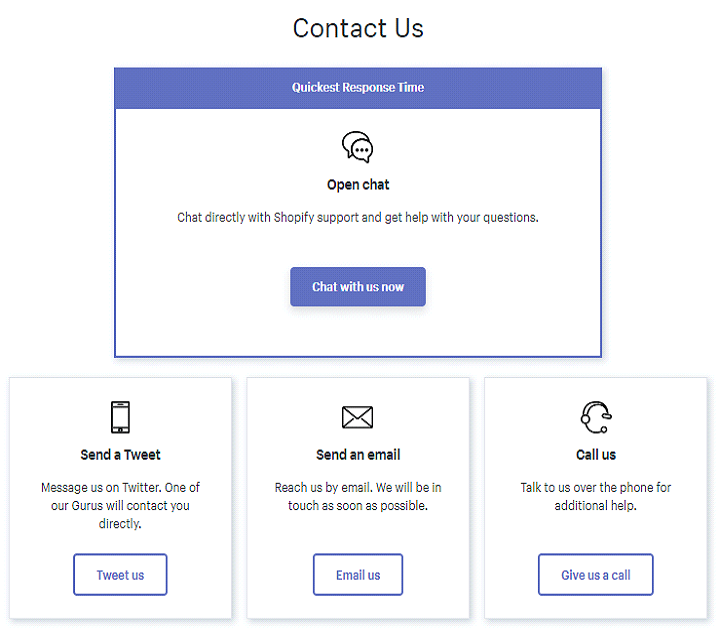 If you have any sort questions related to Shopify, the service’s live support are always there to answer and assist you. WooCommerce vs Shopify in terms of customer support is pretty clear: Shopify has far better resources at its disposal to help its customers. On the face of it, WooCommerce takes an easy lead when it comes to pricing. It’s open-source so it’s completely free to download. Plans for Shopify on the other hand start at $29-per-month. But that’s without factoring in the running costs such as domain name and web hosting and you’ll realize that building a WooCommerce site is far from free. If you’re deciding WooCommerce vs Shopify on the basis of cost, play close attention to the following section. You don’t have to pay anything to for WooCommerce, it’s completely free. But it’s what’s called a self-hosted platform, so you’ll have to arrange the domain name and web hosting for it. Domain name: Domain names are relatively cheap and can be bought for $10-per-year. Web hosting: Depending upon the traffic requirements of your website, web hosting costs range from just $4-per-month to thousands of dollars each month. For most users though, it’ll be less than $10-per-month. SSL Certificate: Any legitimate eCommerce site has to have an SSL certificate to show that it’s trustworthy and secure. Prices for SSL certificates start from around $69-per-year. Template: The included free Storefront template is great but for store owners looking for better design, paid templates are a great option, and start from $39 (one time cost). There are plenty of free plugins available but they might not fulfill every need. In that case you’ll have to opt for a paid plugin or hire a developer who’ll do the required customizations. Lite: $9 per month. Basically a Shopify widget for websites. Does not include store builder. One thing that isn’t included in any one Shopify’s plans is the domain name. The platform provides a unique store web address but it’s linked to the company’s website (yourstore.shopify.com). Users can buy a domain name from Shopify but there might be problems with transferring it if they choose to migrate to another platform. For this reason, it is recommended to buy a domain name from other providers. WooCommerce does not charge its customers with transaction fees. Instead, customers will be dealing with just the credit card rates. A reliable and popular option is Stripe, which charges 2.9% (of sale) + 30¢ for each transaction. 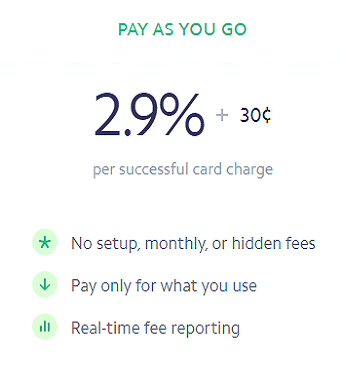 Shopify does levy users with transaction fees if they choose a third-party payment processor. In this case, transaction fees start range from 2% – 0.5% of each sale depending on the subscription plan. This means that users are expected to pay the platform’s transaction fees and the fees associated with credit card processors such as Stripe. Shopify transaction fees can be avoided if users choose Shopify Payments as the payment processor. This also has an added advantage in the form of lower credit card processing rates (as low as 2.4% + 30¢). Both WooCommerce and Shopify enjoy immense popularity in the eCommerce industry. They’re great options for anyone looking for an easy-to-use eCommerce platform that can cater to a variety of user requirements. Because of this, it’s very likely that these platforms aren’t going to be disappearing anytime soon. To the contrary, they’re actually growing in market share. WooCommerce currently powers a staggering 2 million websites around the internet. 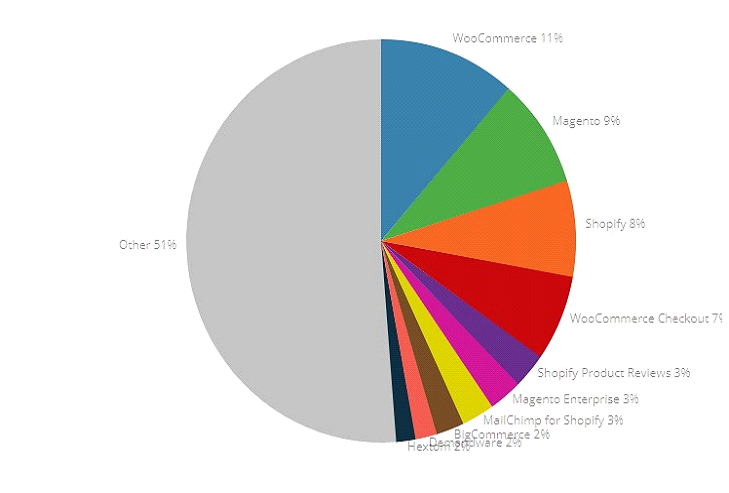 Even more impressive is that WooCommerce appears in 3.5% of the world’s top million websites. Shopify on the other hand is being used by around 700,000 websites. Predictably, its appearance in the world’s top million websites is also lower than WooCommerce, at just 1.3%. By now it should be quite evident that WooCommerce vs Shopify in terms of popularity favors the former. WooCommerce takes a huge lead when it comes to popularity. Being free certainly has its advantages, after all. For users who want additional functionality beyond the platform’s own feature set, app and plugins can be useful. Users simply have to search for an app that will cover their requirements, install and configure it and that’s about it. The store now has additional functionality without any extra money spent (in the case of free apps). This also means you don’t have to hire a developer to make the required customizations. Apps and plugins can often do the job in a better manner for free or at a lower cost. Can’t find an extension for your requirements? Try CodeCanyon, a huge plugin marketplace that hosts over 1000 WooCommerce extensions. It’s a part of Envato, a trusted marketplace for digital products with strict quality control policies. All of the extensions here are paid, but they often have a year’s worth of support included in the price. The Shopify App Store itself deserves a mention because of its user-friendly design. It’s quite reminiscent of a mobile app store and makes browsing and navigation very easy. The features that come with an eCommerce platform can be a contributing factor to the business’s success. A good set of features means that the user doesn’t have to fiddle around with hiring developers or installing plugins to get the required functionality. Marketing is an essential part of the overall business strategy for any eCommerce site. Without effective marketing, the store will struggle to attract reasonable amounts of traffic. In fact, inadequate marketing can oftentimes be the reason for an eCommerce website shutting down completely. WooCommerce and Shopify do not come with any notable marketing features of their own. But both platforms have a large library of free extensions that make up for this. Dropshipping is quickly becoming one of the most popular ways of conducting an eCommerce business. It typically requires a lower amount of initial investment as there is no need to have a stocked inventory that’s being kept at a storage facility/warehouse. There are no dropshipping features included with both these platforms. But again, there are a variety of plugins available that will cater to this functionality. WooCommerce Dropshipping is a popular choice for this as it’s easy to integrate and use. It does cost $49 and that adds towards the total ownership costs of the business. Shopify users who want to sell products through dropshipping can opt for apps such as Oberlo (free). Many eCommerce sites grow their customer-base by starting a brick and mortar operation. For this, POS support can be hugely beneficial as it allows the business to have a synchronized inventory for easier management. Shopify lists point of sale support as one of its main features. 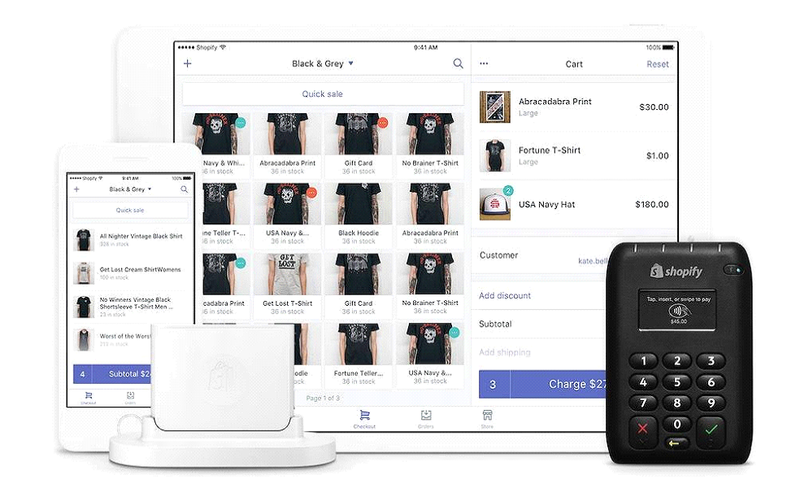 What’s more, it offers official Shopify POS hardware that includes a barcode scanner, a receipt printer, a till and a label printer. Shopify users can even order a basic credit card reader for free. There’s no official support for POS on the WooCommerce platform. However, users can opt for the highly-regarded WooCommerce Point of Sale (POS) extension which is being used by thousands of merchants and received a “featured plugin” spotlight on CodeCanyon. It should be noted that users will have to buy their own set of POS hardware for this and then hire a WooCommerce expert for necessary integrations. Content marketing is usually part of any successful business plan. A blog is the company’s mouthpiece, and allows it to establish itself as an authority in its business by putting out quality content that resonates with audiences. It’s also a great way to convert visitors into paying customers. WooCommerce is a WordPress plugin, so it shouldn’t come as a surprise that you can add a blog to your WooCommerce website with great ease. What’s more, WordPress is a world-class content management system (CMS) with many advanced features, so you’ll be covered for all your blogging needs. 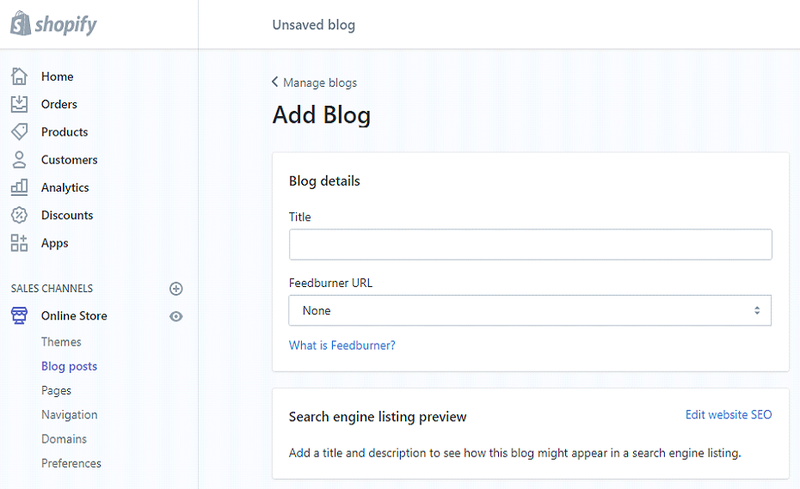 Shopify comes with a blogging feature as well that allows users to effortlessly setup a blog within minutes. That said, it is missing some advanced features such as categorization and tagging – features that WordPress offers. For larger businesses with complex eCommerce-related operations, ERPs are almost a necessity. They allow a business to be highly agile by offering advanced analytics and inventory management solutions, among other benefits. In a WooCommerce vs Shopify comparison, ERP integration is a crucial feature to look at. Because of WooCommerce’s inherent nature as an open-source platform, integration with almost any ERP system is possible. The platform can be customized for virtually any customer requirements. With the right development team, WooCommerce can be integrated with an ERP without much hassle. Shopify can also be integrated with virtually any ERP system, provided that you are a Shopify Plus customer. With the Shopify Plus plan users get access to the platform’s RESTful API, which allows for developer access to all eCommerce-related functions within Shopify. For smaller businesses with limited development resources, or individuals who want to create an eCommerce site, ease of use is an important factor to consider. Installing the WooCommerce plugin itself. For the non-developer, these can pose quite a challenge. Shopify on the other hand takes care of everything. All you need to do is sign up for a free trial, and Shopify will walk you through some basic steps to collect essential information. Once it has that information, you’ll be immediately taken to the Shopify back-end where you can get started with setting up your online store. Both WooCommerce and Shopify come with a site editor that allows users to make quick and easy customizations to the look and feel of their eCommerce store. In practice, both site editors are fairly easy to use, perform at an equal level and offer a decent set of customizations. Both offer a “live view” of the website as the user makes customizations, meaning, the user can view the effect of the changes as they make them. Shopify offers a well-designed dashboard that is very easy to navigate. It allows swift access to important features such as product management and reports. WooCommerce doesn’t have a dashboard of its own. Rather, it appears as a menu item on the WordPress dashboard. More confusingly, adding products is done through the WordPress dashboard as well. This isn’t that big of an issue as the user will quickly become familiar with this practice. Other than that, common tasks such as adding products are done fairly easily within WooCommerce. Anyone already familiar with how WordPress works will definitely get to grips with WooCommerce quicker. Choosing between these platforms will come down to your own requirements and limitations. Both are great options for small businesses and individuals as they’re relatively affordable and in Shopify’s case, extremely easy to use. For people wanting to setup a basic eCommerce store on a budget, WooCommerce is hard to beat. Its running costs per month are very affordable and the owner can always choose to scale the business (and associated costs) according to requirements. With the right development expertise, WooCommerce can be customized to fit virtually any requirements. If you have innovative ideas for how an eCommerce store should work, WooCommerce is a great platform to start. As an eCommerce solution, WooCommerce takes much more time and effort on the part of the user. But once it’s up and running, it’s fairly easy to use and operate. As a packaged eCommerce product, Shopify is hard to beat. It allows anyone with basic computer skills to have an online store up and running within a matter of minutes. There are no hosting providers to worry about nor is there a need to actually setup the website. Simply sign up at the Shopify website and you’ll be taken through some simple steps to start your eCommerce business. Every Shopify store is hosted on the company’s world-class application servers. They offer swift load times and thus better website response. This can be crucial because fast page load times contribute to a better user experience, which in turn leads to better SERP rankings. Each of Shopify’s price plans offer access to 24/7 online support. That means you can always avail professional help if you’re having troubles with your Shopify website.